It is hard to believe it has been a whole year since the last installment of Peter Jackson's new trilogy of The Hobbit. The Desolation of Smaug naturally picks up right where An Unexpected Journey left off. The music follows suit with a few exceptions. 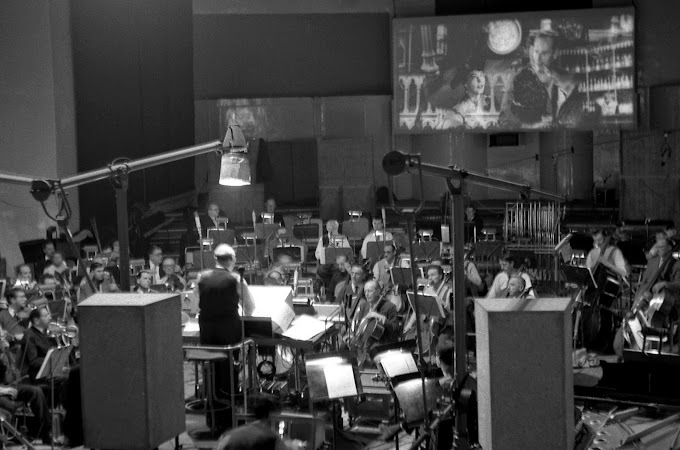 Many film score fans balked at the change of the orchestrator and conductor to Conrad Pope - both originally by Howard Shore on the previous Lord of the Rings films and Unexpected Journey. Others noticed the change in orchestra - moving from various London orchestras to the New Zealand Symphony (and recording in Wellington). I am pleased to say that the changes didn't affect the outcome of the score - neither change stood out or was really noticeable. The score is most definitely still a Howard Shore score. Just like before, we are treated with a regular edition and slightly longer special edition. This is a rundown of the special edition. Thematic continuity is one highlight of the Tolkien world, and Howard Shore has crafted a gigantic musical world. This score utilizes a few of the themes from the previous film (AUJ), including the Erebor theme, Thorin's theme, Azog's theme. Notably absent is the Misty Mountains theme (written by Plan 9) which was so prevalent in the previous score. This score adds a few main themes and a few motifs which will most likely appear in the next film. The main new themes include the Durin theme, Lake-town's theme, with many iterations of Tauriel's theme and Smaug's theme. Minor themes include music for the Arkenstone, Beorn, Bard and the love theme. The Quest for Erebor contains a nice refresher of themes, setting the tone for the film and the album. We first get a bit of Smaug's theme (hinted a few times at his mention in AUJ), before giving us a calming rendition of The Shire theme. Setting up this backstory, we get a bit of Thorin's theme alongside the dramatic underscoring of the scene. Wilderland sets up much of the villain motifs and themes, quickly going between theme, starting with the Arkenstone, before showing the rising theme for Beorn, Smaug's theme and the low-ranged Warg-Riders music. Beorn's pulsing and driving themes eventually take up more of the track before calming down. A Necromancer is another dark and moody track, featuring more villain motifs - Azog, Smaug, Necromancer and snippets of what will become Sauron's theme from the Lord of the Rings films. The House of Beorn features more of Beorn's theme, and the mysterious blurred sounds of the Mirkwood theme. We still are in the low reaches of the orchestra, keeping it very dire sounding throughout. One lone voice rises above, with the theme for The Nine - representing the formation of the Ringwraiths. A faster version of the Erebor theme rounds out the track. Mirkwood features a delightfully dark and murky sound. Shore (and Pope) really explored more orchestral choices of percussion and chanting to vary the Mirkwood theme and set the tone for this track. Flies and Spiders features a bit more of the slithering Mirkwood theme, flowing through a mention of the Erebor theme, and the creepy sounds for the spiders. It plays like a full horror movie underscore, with the dissonant sounds of the strings and brass and shreaking woodwinds. Just as the drama rises over and over, the Ring theme appears on a solo violin. The action picks up, and we get the first burst of Tauriel's theme which functions as a bit of a fanfare. The Woodland Realm features the eponymous theme, with mysterious variations for Thranduil and the Woodland elves with Tauriel's theme eventually appearing on oboe. Tauriel's theme appears in Feast Of Starlight, alongside the Love Theme for Tauriel and Kili. 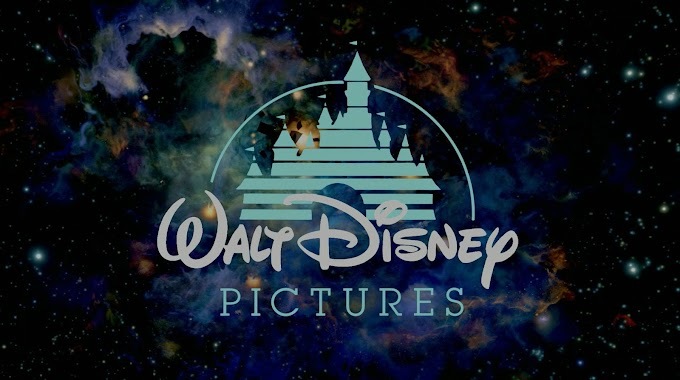 The theme lends itself to the tender moments of the film, and is helped by the use of a solo voice (something Shore has consistently done well). A brief statement of the Ring theme is book-ended by the Love Theme. Barrels Out of Bond features some of the themes from the past film, using Bilbo's past themes in a comedic effect. The short track leads up to The Forest River - a clear favorite in the album. The track is a large-scale action cue, and if you are a fan of Tauriel's theme as much as I am, this track will shine. The orchestra really gives the track its propulsion mixing in Tauriel's fanfare-like theme, a motif for Legolas, and a heroic variation of Thorin's theme as the tempo speeds up. Bard, A Man Of Lake-Town introduces us to a main character - Bard, and his musical theme which is played right into the track on the English Horn. The semi-mysterious theme doesn't quite reveal what side of the story he is on, similar to Strider's entrance in Fellowship of the Ring. The track ends with the Politicians of Lake-Town motif, another winding melody. The High Fells and The Nature of Evil return us to the villain side of the story with the rising Necromancer theme and the eerie vocal theme for the Nine. Bard and Thorin's theme blend together in Protector of the Common Folk. We also get the introduction to the Grieg-like Lake-Town theme in addition to the Politicians motif. Thrice Welcome begins with a grand statement of the Lake-Town theme, before the Politicians theme enters with the clavichord and cello giving the town and characters a distinct musical flavor. Bard's theme appears as well as the "fussy" theme for Bilbo first heard in AUJ. Girion, Lord of Dale begins with Girion's theme, which fits with Bard's theme. Tauriel's fanfare bursts in, interspersed with the Woodland theme. The House of Durin theme appears as well, with its rising pattern and strong male chorus. Durin's Folk becomes a who's-who of themes, with Erebor, Thorin, and Laketown all rising, with a slight menace underneath as their quest comes closer to the mountain. 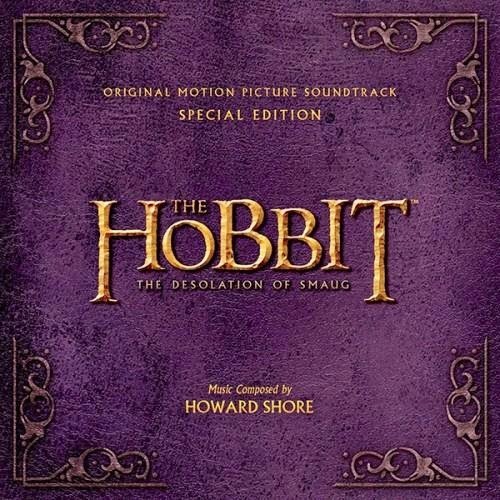 In the Shadow of the Mountain features a stirring variation of House of Durin (without choir) before leading to the Erebor theme and Smaug's theme with a sense of dread. A Spell of Concealment joins back where The Nature of Evil left off - variations on Sauron's theme, the Necromancer theme in an action setting. On the Doorstep features more of the Erebor and Thorin's theme and a beautiful choir moment in the middle of the track. The versions of the past themes have a weight to them, and each have a solemn variation. The Courage of Hobbits naturally has a callback to the Shire theme of the LOTR trilogy, but also include some of the Eastern-sounding percussion including gamelans representing the mysteriousness of Smaug. It is something that makes the character and music stand out as nothing we've heard yet. Inside Information uses more of the interesting percussion with almost hypnotic variations of Smaug's theme appear. Kingsfoil takes a break from the Smaug material, with lovely string-led versions of the Love Theme, and a female solo voice joins in. But then, A Liar and a Thief kicks us right back to the darkness with Smaug's menacing motifs mixed in with Sauron's theme. The orchestra shows off the extreme ranges with the deep lows and extreme highs in the strings. The Hunters is another large action cue that begins with a combination of Erebor and Smaug's theme. The rhythm keeps the action moving as we alternate between the motifs for our heroes and villains - especially Legolas. The House of Durin makes another appearance, again in the cellos and choir. Smaug as you could guess, is full of the Eastern percussion, Smaug's theme and the lowest lows of the orchestra. The House of Durin theme mixes with Smaug's theme in My Armor Is Iron, and some riveting writing near the end before ending on a cliffhanger. I See Fire (written and performed by Ed Sheeran) begin a capella before his guitar and string accompaniment joins in. The song is certainly specific for the film, maybe even more so than the past credit songs. I know the song is just as divisive as AUJ's Song of the Loney Mountain, but this one has grown on me more than the last. Not really familiar with Sheeran's work besides a few songs, I am generally impressed with his offering for the film. The album ends with Beyond the Forest beginning with a vocal version of the Love Theme. The Woodland theme gets a reprise as well as another thrilling version of Tauriel's theme before the album ends. With the initial fan freakout out of the way, it was nice to sit down with the score after seeing the film. The score is crafted with the same care as the previous scores, even without Shore touching upon every step. The score (and film) are far more action based than expected with some real shining moments in cues like The Forest River. Tauriel's theme is used to great effect, as well as the quieter moments with the love theme. The score is also considerably darker than AUJ (no surprise there). I hope that the Girion theme will return in the next film, as well as the House of Durin theme playing a larger part. Shore is still clearly at the top of his game, a master at crafting these Wagnerian themes and relying on them as needed. This is one of the more interesting of his Tolkien scores, even if isn't as accessible as the others. One of the top scores of the year, Shore has me waiting impatiently for 2014's There and Back Again.